May | 2013 | Om nom nom! 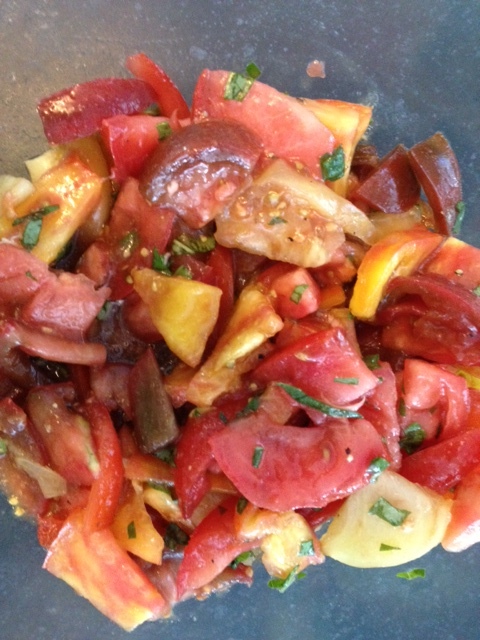 Not really a recipe, but a good starting point for a great summer side salad. 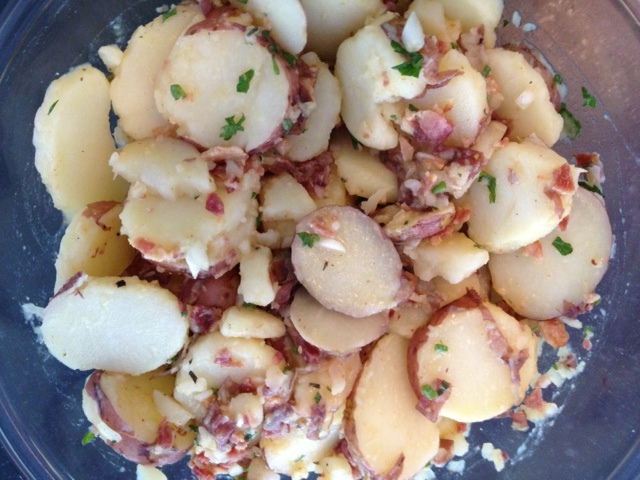 We served this at our Memorial Day cookout, and I also frequently use it as a quick side with grilled meats. Especially delicious with fresh basil! Combine sliced tomatoes, basil, parsley, a drizzle of olive oil and balsamic vinegar, and a pinch of kosher salt and freshly ground pepper and gently toss. That’s it! Alter to taste. 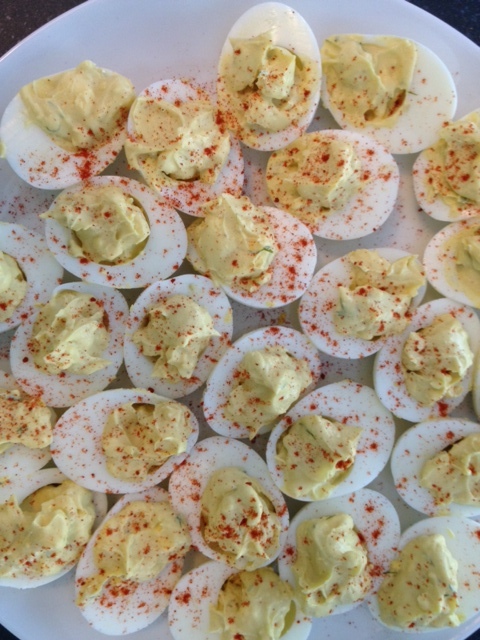 Deviled eggs are one of my favorite appetizers, especially for picnics. Shawn makes some killer deviled eggs, and it’s possible I helped myself to way more than my share. They’re also great for lunch and snacks. You may want to double this for a crowd. Shawn made this to go with his fabulous kabobs for our Memorial Day picnic. Fantastic, and goes equally well with chicken and lamb. We doubled the recipe, and it was worth it…this would also be a great dip for veggies. In a food processor, blend feta, yogurt, mint, and remaining tablespoon vinegar until smooth. This was a nice side, provided you don’t overcook the pea pods like I did. 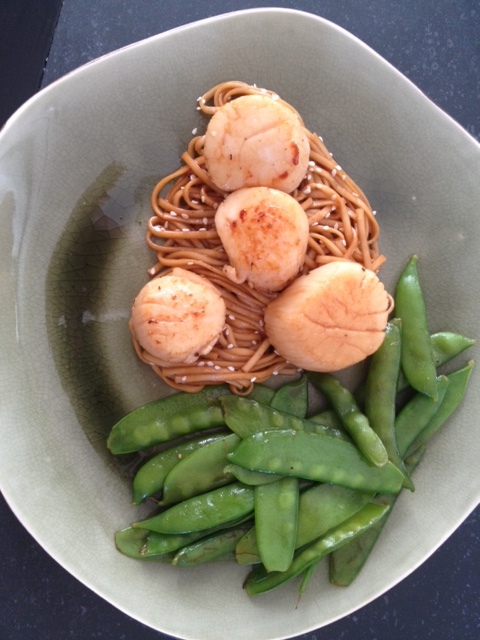 😉 Got it from Cooking Light along with the recipe to follow, Soy Citrus Scallops. I’d definitely do this again. I really love mashed peas…actually, I just love peas any way. This works well, but watch your lemon juice – it can go from bright to overwhelming/weird aftertaste very quickly.